Join Team Decatur and Get Active! 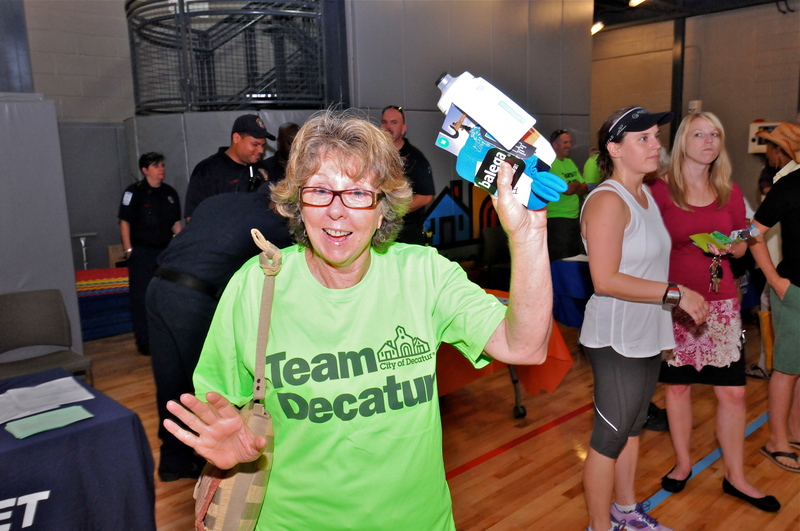 On July 15th attend the Team Decatur Kickoff Event at the Decatur Recreation Center, 6 – 8 pm. Join Mayor Baskett and Race Director and Olympian Jeff Galloway for this fun event which kicks off the free eight week training program offered through September 10. • Health and Fitness Expo featuring local businesses sharing information on getting and keeping fit and nutrition. • Wear fitness clothes to participate in fun activities including Jazzercise, Tai Chi, Aerobics and more. • Get information on Team Decatur, the running and walking group formed to participate in the Kaiser Permanente Run/Walk 5k. This is our fourth year! • A special appearance by Doc Broc! • Learn about “Bright at Night” and receive a free blinkie light to keep you safe. To join Team Decatur, visit http://www.kpcorporaterunwalk.com and register for the KP Corporate Run/Walk 5k. Be sure to select Team Decatur from the list of corporate teams. Register for the KP Corporate Run/Walk by August 1 and be entered into a drawing for a Running Camp/Retreat with Jeff Galloway at Blue Mountain Beach, FL. For more information on Team Decatur visit http://www.decaturga.com/teamdecatur. Bring the whole family. Free. 231 Sycamore Street, Decatur. For more information cheryl.burnette@decaturga.com or 678-553-6541.